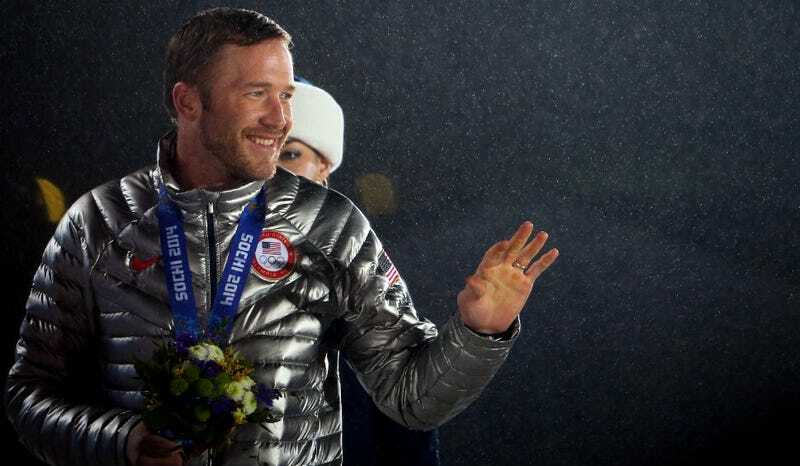 An NBC reporter is accused of pushing a post-game interview with U.S. Olympic skier Bode Miller too far, eventually causing the athlete to break down in tears over repeated questions about the death of his brother. The resulting talk with NBC's Christin Cooper was as raw and emotional as an interview at a sporting event can get, as Miller talked about his younger brother Chilly, who died last year of an apparent seizure thought to be related to a brain injury from an old motorcycle accident. The camera zoomed in tight as Bode spoke. Cooper: Bode, you're showing so much emotion down here. What's going through your mind? Cooper: When you're looking up in the sky at the start, we see you there and it just looks like you're talking to somebody. What's going on there? According to For the Win, then dropped to his knees and rested himself on a fence. Cooper is heard whispering "sorry" as she put her hand on his shoulder and walked away.